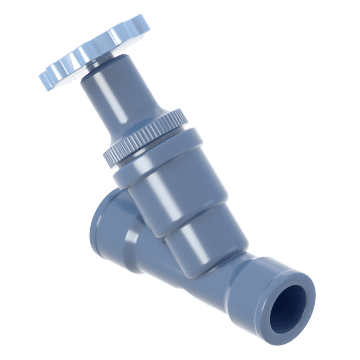 With a straighter path for material flow, Y-pattern valves (also known as wye-pattern) allow less pressure drop and higher flow rates than T-shaped (tee-shaped) or angle-pattern valves. 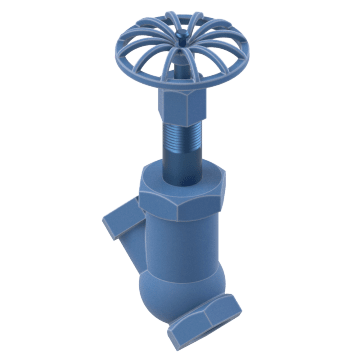 A type of globe valve, these valves are for use in flow regulation in addition to on/off applications, and are designed to be used in a partially open or closed position. 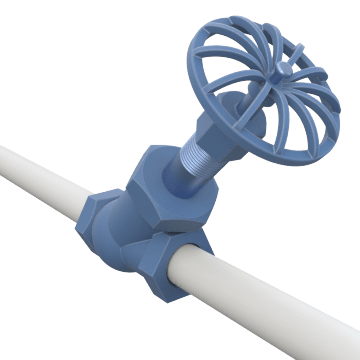 These versatile valves can be used in a variety of applications, such as in chemical processing, HVAC, and irrigation systems. Release pressure or regulate flow volume in pipelines with these valves. Commonly used in non-potable water, steam, gas, and oil applications, they have tight shutoffs and are easy to maintain. For use in potable (drinking) water lines, these valves meet low-lead requirements.